Pro Exteriors: Roof Repair is What We Do Best! When it comes to top quality roof repair in Milton, DE, Easton, MD and the surrounding areas, Pro Exteriors has you covered. Whether it’s just a simple leaking roof or a massive roofing overhaul, we can repair and restore your roof to its former glory. Call us if you need fast, prompt, accurate and professional roofing repair services. Many Delaware and Maryland homeowners will ignore a leaky roof or perform quick fixes that never last, hoping their roofing problems will just disappear on their own. Unfortunately, they never do. If you want your roofing woes to truly go away, you need to have it taken care of by a certified roofing professional, and fast. Having your roof properly and professionally repaired in a timely manner will give you peace of mind when there’s bad weather–such as when next heavy rainstorm rolls in. If roof repair and maintenance is carried out in a timely manner, you’ll find that severe storm damage can be significantly reduced, along with the costs you have to pay for repairs. Don’t wait too long to have your leaking roof repaired. Call Pro Exteriors for the quality roofing workmanship you are looking for. We handle all types of residential roofing systems and materials. Our repair technicians are specially trained to make repairs efficiently and safely, ensuring your satisfaction all the way. Call us for repairs and we’ll have the leak or damage located, identified, and repaired in no time at all. For expert roof repair in Easton, MD and the nearby areas. Call (302) 664-1700 or fill out our Request Form to get a free roofing repair estimate today. 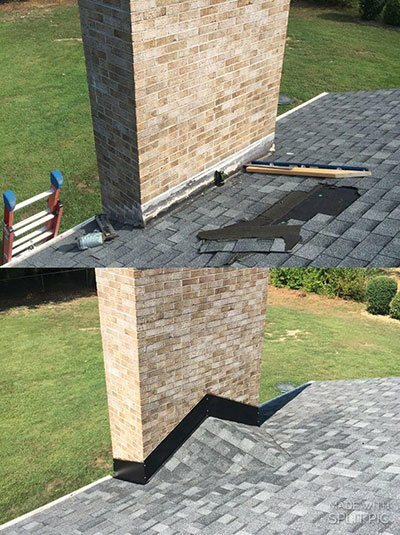 Learn more and experience how our professionals at Pro Exteriors do roof repair.